Online Application Details for Central Employment Exchange Recruitment of Assistant Cameraman and Vocational Instructor is given below. 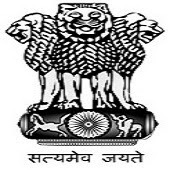 Application form and duly attested documents are to be sent to Assistant Administrative Officer, Films Division, Ministry of Information and Broadcasting, 24-Dr. Gopalrao Deshmukh Marg, Mumbai - 400026. In envelope super scribed with 'Application for the Post of Post Name'.